The Bataleon Evil Twin has been around for a while and Tripple Base Technology has a lot of the pop of camber and the catch-free feel of rocker. The Bataleon’s Evil Twin’s Twin TBT is not as pronounced as All Mountain TBT but instead, It’s very much like Park TBT. The only difference is the edges are just a little more turned up on the sides and the flat part is just a little less. We are talking millimeters here. 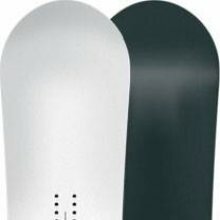 It has that same catch-free feel of hybrid camber boards but has a little more pop on the tip/tail than most. The only thing is it seems to pop best when flat basing. When you try to load the edge to get the air it feels washy and weird and I didn’t like that feeling. Some others might be ok with that though. What this type of TBT does is make you feel like you are on a catch-free camber board but it doesn’t make it feel easy in powder. You have some of the edge helping the board stay afloat but there is still more camber in the TBT section than rocker. 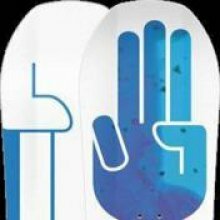 It would be more fun to have the spring TBT camber for ollies and more advanced park play but use a twin with rocker for powder days. 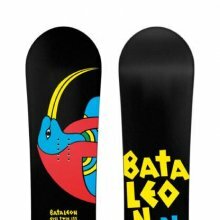 In general, Bataleon has good edge hold but it doesn’t have that all conditions grip than many other boards in this category does. It’s not terribly slippy but it’s also not great either. All Bataleon boards have a catch-free ride but flat base and one foot well thanks to the mostly camber profile. This really wasn’t for me mainly because the edge didn’t really like to engage in a committed to carving a turn on the mountain. It had the flex of a mountain ride but the washiness of a continuous rocker park ride when committing to an edge. I just didn’t have much to say about it and it didn’t really appeal to my riding style when it comes to a mountain-friendly twin. Maybe if I got more time on it than a few runs it might appeal more to me. We try to get as many images of the Bataleon Evil Twin, but forgive us if they're not all there. Bought this board in a 157 to down size from my 162 Angus. Really fun board to center up the stance and ride switch. TBT is fun but caught me off guard when I first started riding it. The Evil Twin feels loose while you flat base but when you lean into a turn and the whole edge is engaged it really holds nicely. That made it very easy to spring out of your turns. 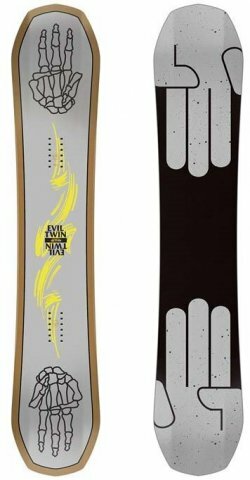 I find this board a bit on the slow side on groomers but that is to be expected with this size and style of board compared to a stiffer more aggressive hybrid camber board. Also it is only ok in powder but that's not really why I bought this board either. 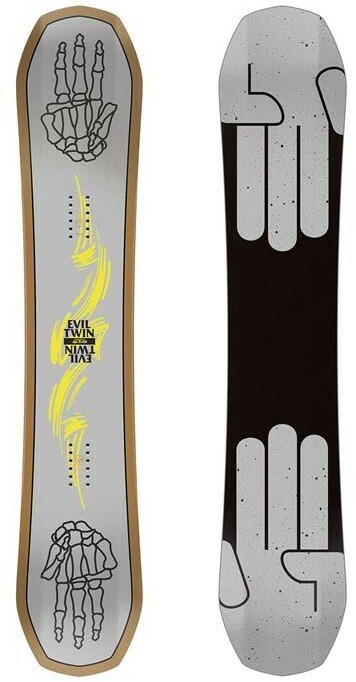 Overall a good playful board that really gives you a taste of what a forgiving camber board can be. 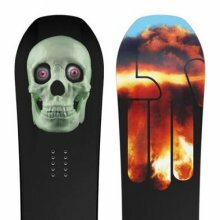 For someone who is riding pow or wants to rocket down groomers I'd consider something else. This year Bataleon added an asymmetrical Evil Twin to their line up.